Colleges and universities are big business in Ohio. 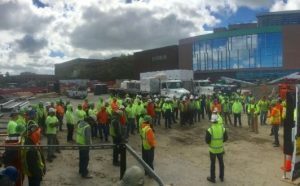 ACT Ohio members have a safety meeting at Lakeland Community College. From one of the largest universities in the United States, to small community colleges, private and public colleges and universities have used ACT Ohio affiliated members to build Ohio’s post-secondary educational centers. 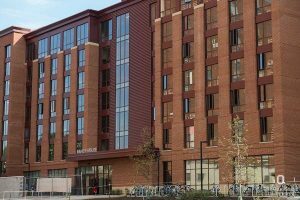 The Building Trades have proudly built dorms, classrooms, libraries, athletic centers, and stadiums for both private and public colleges and universities in Ohio. Our members are helping to create the environment needed to educate and empower the next generation of young adults as they begin to prepare for the next phase of their life. By choosing our affiliated construction workers, centers of higher learning like Bowling Green State University, The Ohio State University, Lakeland Community College, Wright State University, and many others are benefiting from high-quality construction completed on time and on or under budget by the state’s most highly-qualified construction workforce. The work ACT Ohio members perform provides top value because the work is not only done right the first time, but also performed efficiently and safely. All colleges and universities should be using the state’s top construction workers to create buildings that will last for generations.